The annual event unlocks our imaginations and gives all residents and visitors the opportunity to experience high quality entertainment, exhibits, and programming in the areas of performing, visual, media, and literary arts. It is a time of year when we are joined by thousands from throughout the Southeast to celebrate the importance of art within our world. The festival began thirty years ago as a small, one day, community celebration at Park Circle and has expanded over time to include nine days of wonderful free and ticketed events throughout the City. This growth has made the event one of the most comprehensive arts festivals in the state, earning it recognition as a Top 20 Event by the Southeast Tourism Society. 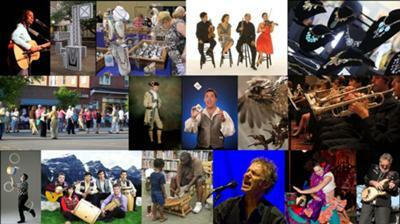 The City of North Charleston is proud to present the Arts Festival each year. I encourage you, your friends and family to take advantage of the many fantastic arts and cultural performances, events, and activities being offered.